The official weigh-ins for “The Ultimate Fighter: China Finale” take place today inside CotaiArena inside the Venetian Resort in Macau, China. Stream Friday’s weight contest live right here on 5thRound.com starting at 5AM ET/2AM PT. 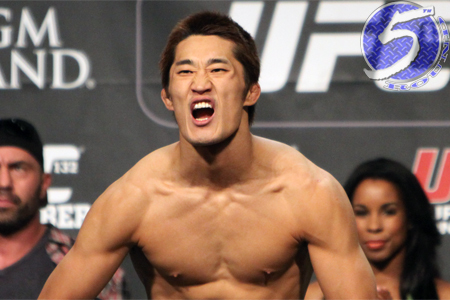 A welterweight affair between Dong Hyun Kim (pictured) and John Hathaway headlines the gig. The finals of “The Ultimate Fighter: China” between Sai Wang and Lipeng Zhang serves as the co-main event. Tomorrow’s UFC Fight Pass stream begins live at 3:15AM ET/6:15AM PT.